Ponzi and Pyramid schemes are some of the most well publicized types of SEC cases. Possibly the most well known Ponzi scheme is that of Bernard Madoff, who created a fictitious investment firm that involved almost $65 billion in losses and fabricated gains. The Madoff Ponzi scheme is considered the largest financial fraud in U.S. history. All Ponzi schemes are frauds. This is because the underlying investment business that the company is supposedly conducting is fictitious. In the case of a Ponzi scheme, returns to investors are not legitimately earned from successful or profitable investments. Rather, the payments of “investment returns” to current or old investors are actually made from funds unknowingly contributed to the scheme by new investors. The organizers of the Ponzi scheme solicit new investors with promises of unusually high returns on their investments, usually coupled with assurances of minimal or no risk. In addition to promising high returns, the swindlers often create false records and other documentation to make their fraud seem legitimate. Some schemes may make extra-large payments to early investors (paid entirely from new investors’ funds) to create a sense of false-reality and convince even more new investors that the initial investors are profiting wildly from a successful and legitimate business. If successful, this convinces potential new investors that they have found a golden opportunity that few others have been lucky enough to find out about. But there is a catch: in order to sustain a Ponzi scheme, the fraudsters must continually recruit new investors, in order to provide payments and/or returns to prior investors. When the organizers of the scheme can no longer recruit enough new investors to pay earlier investors, or when a large number of investors request to withdraw their capital all at once … the Ponzi scheme collapses. Thus, it is inevitable that all Ponzi schemes will eventually collapse. What made the Madoff Ponzi scheme so remarkable was that Madoff was able to continually recruit new investors and sustain his scheme for so many years. A typical Ponzi scheme collapses long before the Madoff scheme did. Unfortunately, if a Ponzi scheme is not caught early enough, when it collapses the fraudsters will have often taken for themselves most if not all of the money that was not paid out to earlier investors. Investors who are still unknowingly caught up in the Ponzi scheme when it collapses, especially the last investors to put their money in, often lose everything. It can be difficult for a potential SEC whistleblower to decide whether certain conduct that they have information about is a good candidate for an SEC whistleblower case. Often, a Ponzi scheme is not obvious to detect from the outside. However, there are certain things you can look for that may be signs of a Ponzi scheme. Steady returns – All investments fluctuate over time. An investment that consistently provides the same profitable returns (and rarely or never shows losses) may be a fraud. Excessive investment returns – Return averages for investments are commonly published on the Internet for industries and investment types, such as for venture capital, mutual funds, and hedge funds. Excessive profitable returns that greatly exceed the industry norm could be a sign of a Ponzi scheme. Minimal or no risk – All investments carry risk. The higher the possible return, the higher the risk. Investments claiming “no risk,” “guaranteed return,” or very low risk for high returns are most likely scams. Private investments – Ponzi schemers often claim to be using their investors’ money to make investments in private companies. They do this to avoid having to show audited financial statements, or having to provide their investors with regulated investment materials as are typically required for investments in publicly traded securities. Investing in private companies can be legitimate, and not all companies are required to provide audited financial statements. But an investment that is either not regulated by the securities industry (i.e., by the SEC, FINRA, or some other legitimate regulatory authority), or that can not or will not provide audited financial information from a reputable accounting firm, might turn out to be a fraud. Payments and Distributions – Ponzi schemes succeed only as long as the fraudsters can keep new investors committing capital, and keep prior investors from withdrawing their funds. Therefore, the schemers will try to convince most of their investors not to withdraw their funds. They often do this by claiming that they are about to make new investments that they say will have even higher returns, which the investor will miss out on if they pull their money out now. If a business refuses to make a distribution of investment profits, refuses to return a customer’s funds, closes a customer’s account when requested to return some of the funds or profits, or continually provides excuses for failed promises to pay out on an investment, there is a good chance that it is a fraud. Similar to a Ponzi scheme, a Pyramid scheme is another type of potential SEC whistleblower case. However, there are a few differences. First, a Pyramid scheme typically takes the guise of a legitimate business that actually makes or sells something, rather than a pure investment opportunity like a Ponzi scheme. 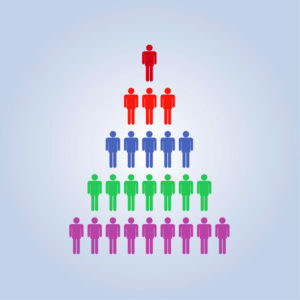 Second, a Pyramid scheme requires the investors to actually recruit new investors or “members” to the business or program. This recruitment is where the name of the scheme comes from. In this type of scheme, the fraudsters begin by finding an initial group of people to pay money into the business. Those people are sometimes referred to as “members” in the business, and their payments can be called various things such as “investments” or “memberships” in the business. In order to receive returns on their investment, those members are required to recruit additional new members. The initial members are then “paid” or receive a portion of the money that the new members who they recruit pay to join the business, with the remaining money going to the original fraudsters. As each subsequent member recruits more members, the pyramid expands and more money is paid up the pyramid to earlier members, with the fraudsters receiving payments from everyone. In addition to their initial buy-in fee, members or investors are often also required to pay an ongoing membership fee and/or to purchase products from the fraudulent company. When the latest members to join are no longer able to recruit new members, or they cease to make ongoing membership payments to or purchases from the business, the pyramid collapses. Like Ponzi schemes, it is inevitable that all Pyramid schemes will eventually collapse. The only question is when. Easy returns – Pyramid schemes often promise get rich quick opportunities. If simply by investing a small amount of money, the member can make large returns with minimal to no work, it may be a fraud. Payment for Recruitment – If the primary source of a member’s income is commissions on membership fees or purchases made by the new members that he or she recruits to the business, it might be a fraud. No 3rd Party Sales – Legitimate businesses recruit salespeople to sell their product(s) to customers – not to each other. If the primary, or only, source of sales for a business is its own members, it could be a fraud. Recruiting Pressure – Most normal businesses that produce or sell products make their money buy increasing their sales. If instead a business primarily focuses on high-pressure recruitment tactics to encourage its members to recruit more and more members, rather than on increasing sales of its products, it may be a fraud. In addition to the fraudulent corporations or companies, the SEC can bring cases against the individuals behind the Ponzi and Pyramid schemes. Such individuals might include not only the individuals who created the scheme, but also anyone who knowingly participated in the perpetuation of the scheme. These individuals could be corporate officers, directors, employees, stockholders, promoters, third-party agents, or others. SEC brings charges for $150 million Ponzi scheme involving Broadway theater tickets. SEC fines Vizinova promoters for running a Pyramid scheme. 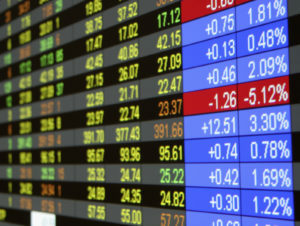 SEC wins court judgment in Ponzi scheme case involving high yield investment program.